Could we put a name to this bar? 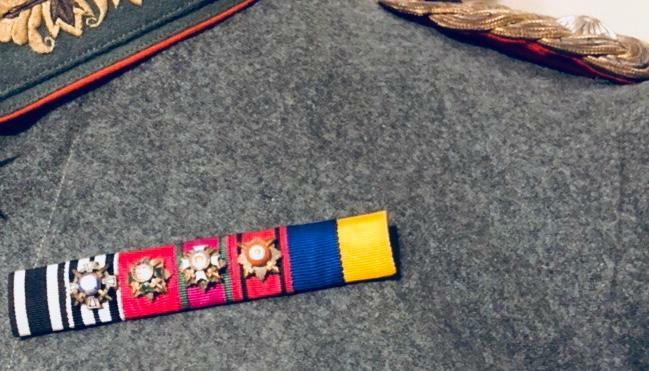 I'm having doubts about this bar, it is clearly a prussian bar (prussian service award and a centenary-medal) yet there are no prussian awards on this bar like the RAO or the KO. One could say that these awards weren't worn on a ribbonbar but I would think there would be miniatures of these orders on a ribbonbar such as this one. I'm also a bit worried about the miniatures, but if I recall correctly Claudio has a ribbonbar with miniatures of the same kind which we could use for reference in this case. I'm not saying that it is a bad bar, I'm only saying that I have my doubts. If it turns out to be genuine it would indeed be a nice addition to a collection. I see nothing to immediately question the authenticity of this ribbon bar. I believe that it is not for a Prussian recipient necessarily, but possibly for a Princely recipient (Prince of Hohenzollern?). But it could also have been for a high-ranking general officer as all of the star devices have swords. 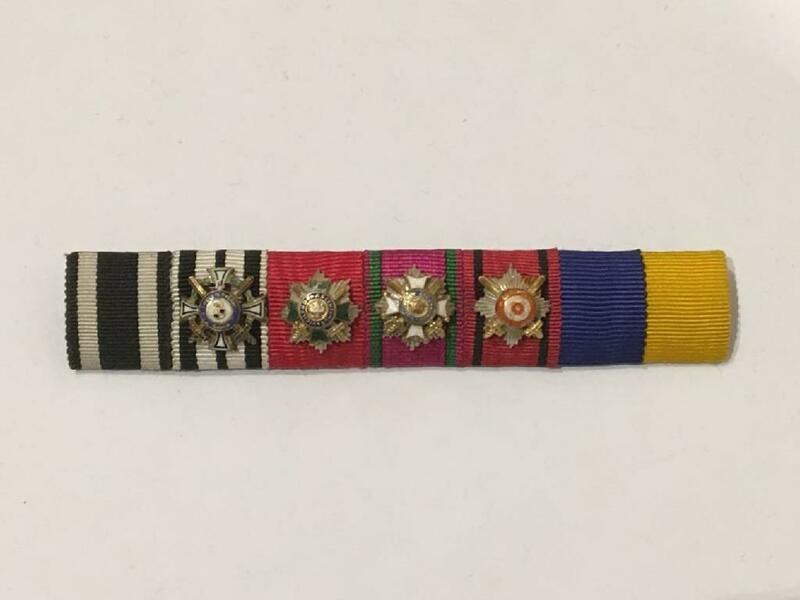 I believe that this ribbon bar does not represent all of the awards of the recipient, but was an abbreviated version for wear. 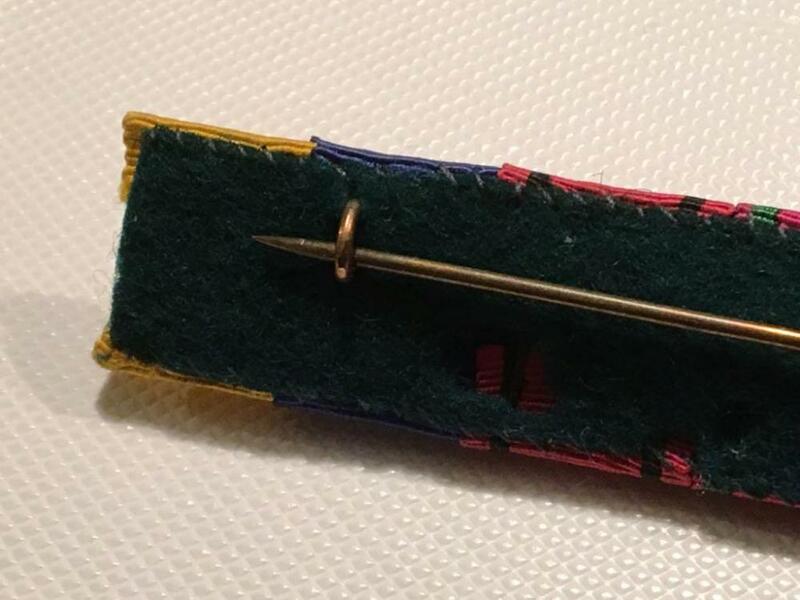 An interesting piece! Show me a better pic of the Auflagen (devices), please. If they are OK - definitely a high ranking guy. Here are some closeups of the bar. High ranking? Identifiable? Personally, I like the bar and would love to own it. i don’t know if identification of owner possible but could have bee royalty and/or General Officer. It’s hard to believe that it can’t be ID’d. I’m sure Rick L would have loved the challenge on this bar. I like it and can’t understand why there haven’t been more comments. i could be wrong about it but I think it’s good and I’m happy with it. 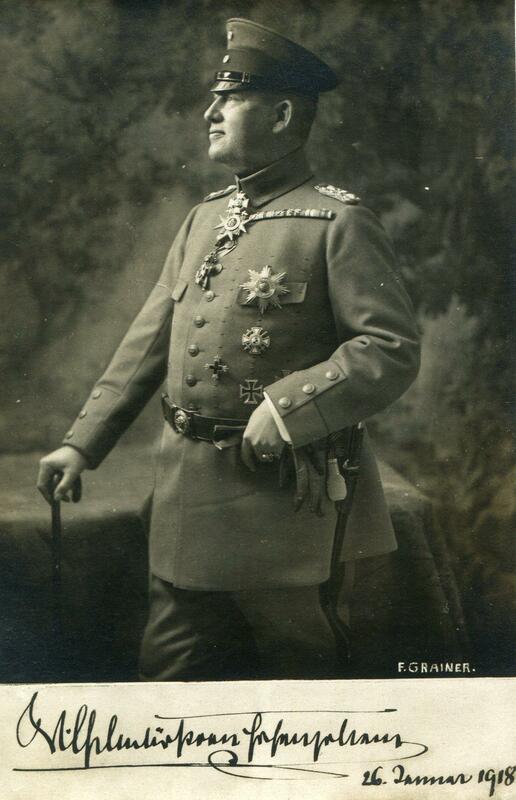 That's correct... such devices of high classes orders they were worn by regnant nobility, like this gentleman: Georg Prinz von Sachsen-Meiningen . In this case I would tip on a family member of the Catholic Southern Branch of the House of Hohenzollern-Sigmaringen, who knows? 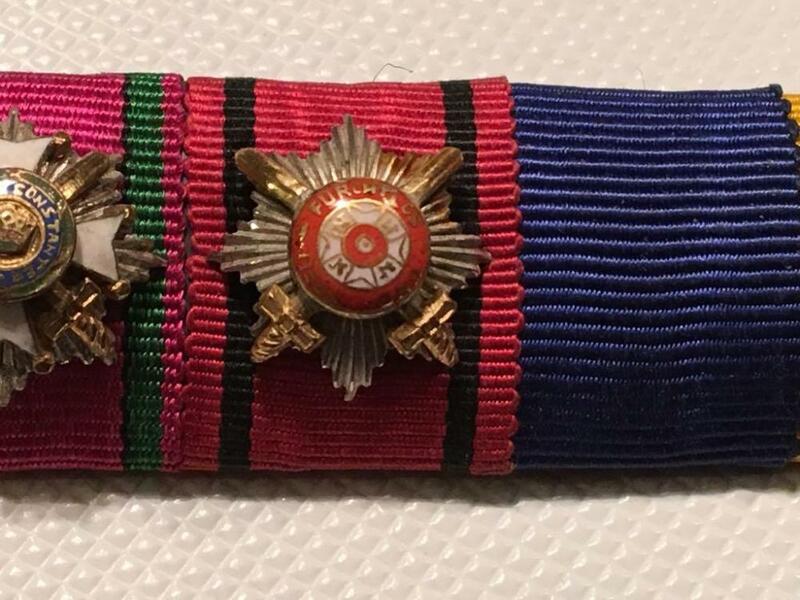 It would be great to find a picture of that very ribbon bar being worn. Although both brothers held the rank of general in the prussian army (thus entitling them to a prussian servicecross and a centenary-medal) I think that Prinz Karl anton has a bigger chance of being the owner of this ribbonbar. He served as a leuitenant-general in WW1 (which would also entitle him to an EK2). 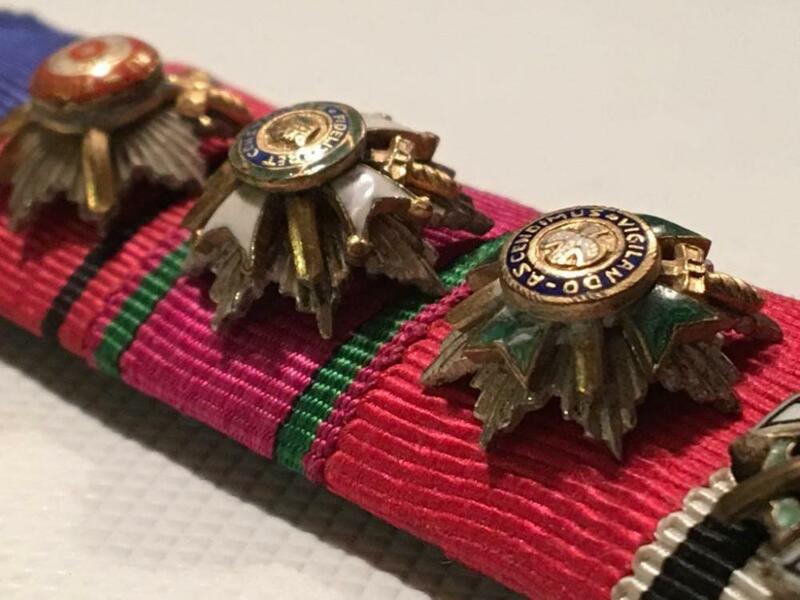 I have a picture of him wearing a medalbar with the SWF, centenary and a bunch of foreign awards. 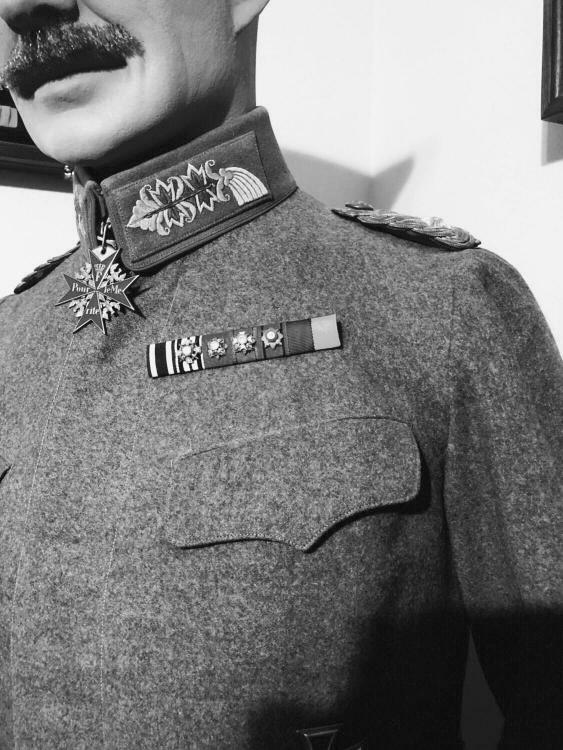 In this picture he is also wearing the red eagle order and we can see the top of the Hohenzollern Princely honour cross. 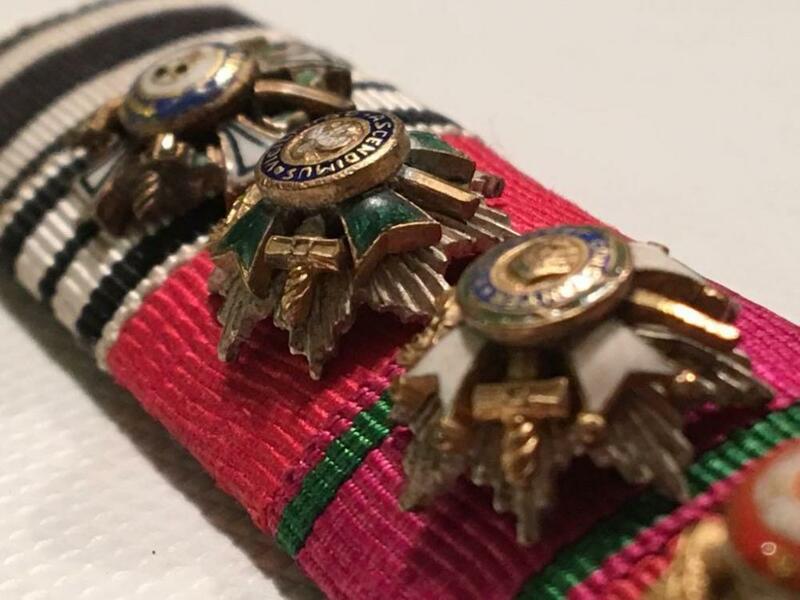 All the medals that come after the centenary-medal are foreign, we can see a japanese order for example which he would not wear during the war, since Japan was not on Germany's side. 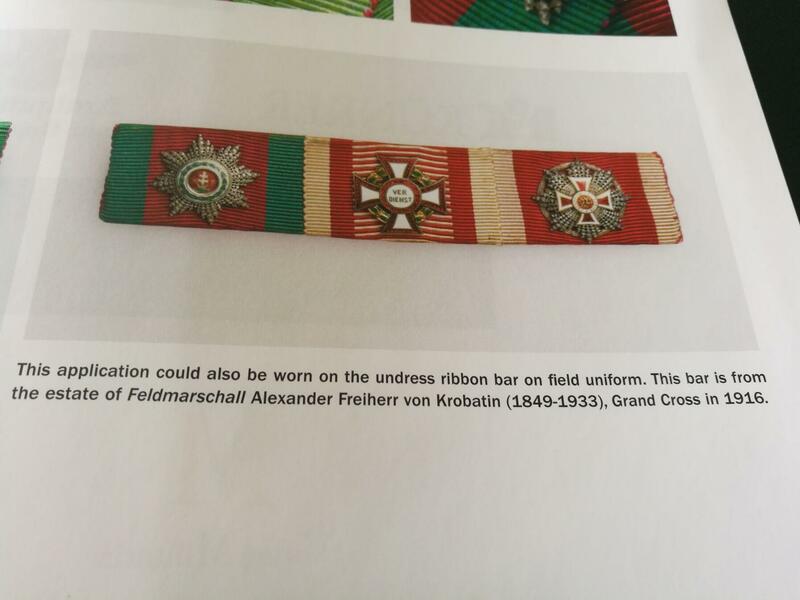 This would explain why a lot of these medals are missing from the ribbonbar. 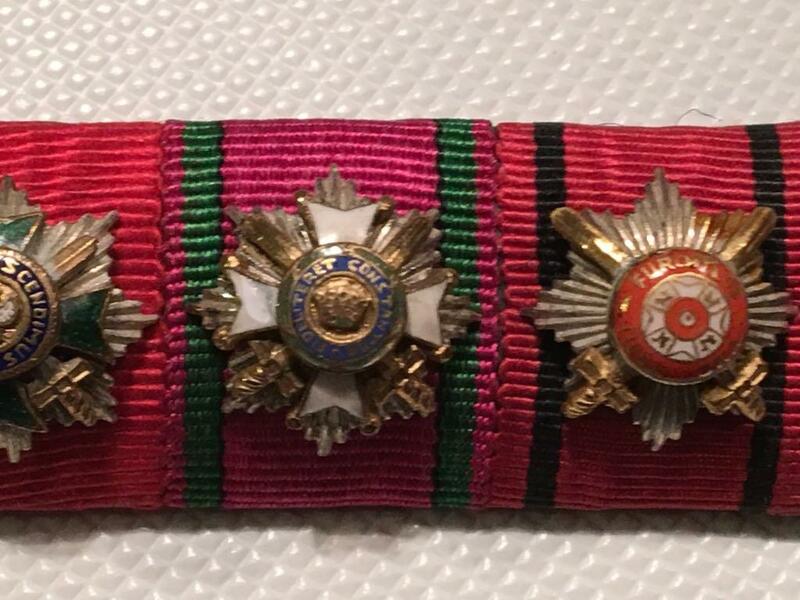 Furthermore we see the grandcross of the red eagle order, however, this is a peace-time award which is most likely absent from this ribbonbar because it is a ribbonbar with orders given out for bravery (swords) and 2 awards for service. 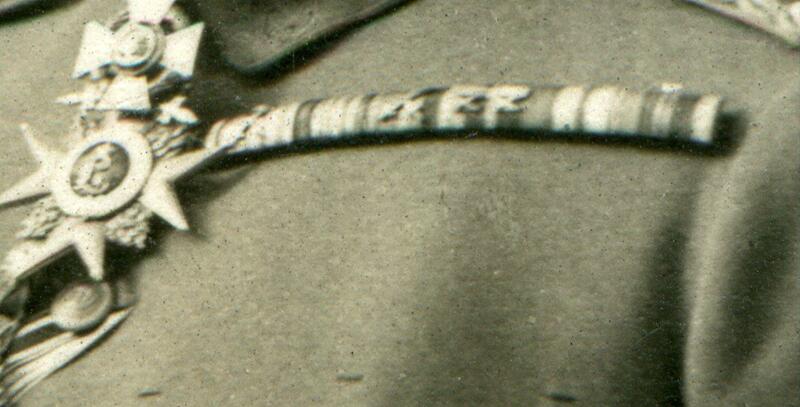 In this picture we can see him wear the cross 1.st class of the Saxon white falcon order, of which he may have received a higher grade during the war for bravery, which would explain the miniature of the grandcross with swords on his ribbonbar (kleindekoration). Any further comments are ideas might be helpfull, since this is only a small start of the puzzle. 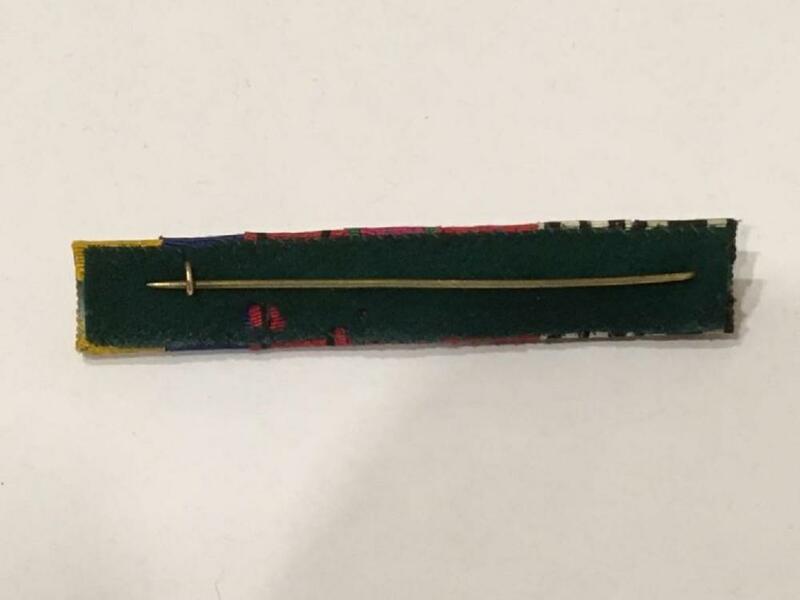 This ribbon bar looks amazing in hand. It’s superb quality imo. Congratulations on this very fine bar! Having looked through some of the published award lists, I would think this must have belonged to the reigning Prince Wilhelm of Hohenzollern. 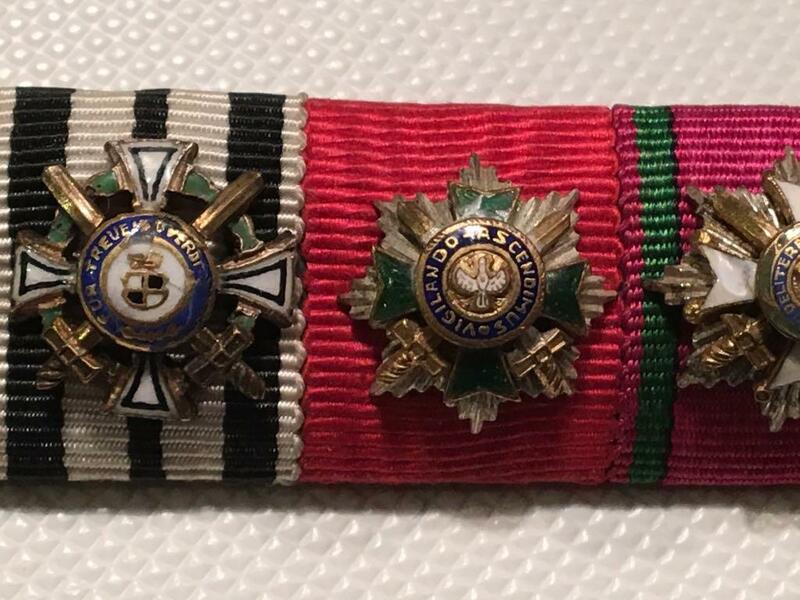 There are very few (besides Hindenburg, Mackensen and reigning princes/dukes/kings) who got, for example, both Grandcrosses with X of SEHO and White Falcon. And the few I found can be ruled out for other reasons. Wilhelm of Hohenzollern got the SEHO Grandcross with X on 10th Jan 1916 (Karl Anton did not get this one). He of course had his own Hohenzollern Ehrenkreuz 1st cl, which he put first. 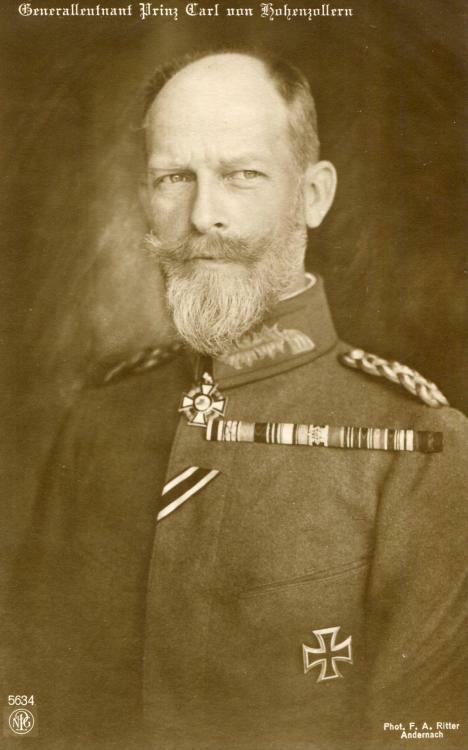 He had already received the Grandcross of the Württemberg Crown before the war, so probably got the swords to it during the war. Maybe that is the reason why it comes last of the Grandcrosses, because otherwise a kingdom should come before (grand) dukedoms (if the recipient cared for precedence at all.) Wilhelm is just not in the White Falcon list, but that is not complete. That’s a marvelous ribbon bar. 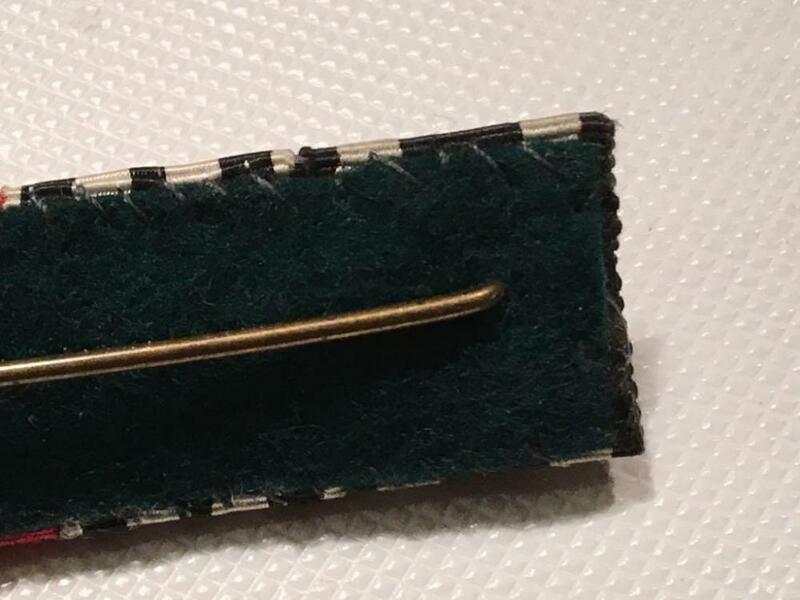 I've seen German and Austrian generals wear these and have always wanted to see one in color. Owning one would be a dream to be certain.